In this annual series, artists perform in intimate venues across the Lincoln Center campus, giving fans a chance to watch their favorite performers let loose and sing great songs. The lineup for the 2014 season has been announced, and it's a good one. Among those set to perform are Jonathan Groff (Spring Awakening, The Submission); recent Tony winner Patina Miller (Pippin); the incredible Rebecca Naomi Jones (American Idiot, Murder Ballad); and Norm Lewis (Porgy and Bess), plus there will be special themed nights, like "Michael John LaChiusa's Stories" and "James Naughton: The Songs of Randy Newman." While Friends of Lincoln Center receive early access to tickets, tickets go on sale to the public on November 12. Check out the full schedule at americansongbook.org. 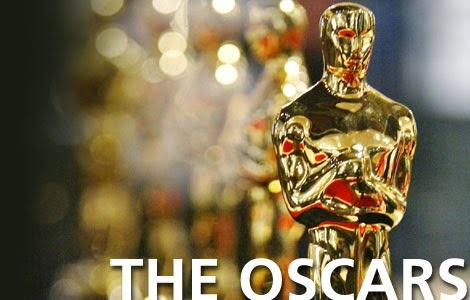 There are 18 weeks until the Academy Awards and the jockeying is in full swing. In this week's Feinberg Forecast (in which The Hollywood Reporter's awards guru, Scott Feinberg, analyzes the week's happenings and what impact they have on the Oscar race), Feinberg focuses on what the picture looks like now that George Clooney's The Monuments Men is out of contention (see last week's post). Feinberg also dives into box office receipts (Steve McQueen's 12 Years a Slave is doing well); notes that the Idina Menzel-sung "Let it Go," from Disney's Frozen, could compete in the Best Original Song category; and updates his Oscar nomination predictions. In other award season news, The Hollywood Reporter is convening several roundtables in which artists (who are being buzzed about for various awards) talk about their craft. In this insightful actors discussion, Forest Whitaker (The Butler), Matthew McConaughey (Dallas Buyers Club, The Wolf of Wall Street), Jared Leto (Dallas Buyers Club), Josh Brolin (Labor Day), Michael B. Jordan (Fruitvale Station) and Jake Gyllenhaal (Prisoners) talk about their careers. Pick up a copy of The Hollywood Reporter, or head to the website to read a transcript of the roundtable or watch the video. The fearless director Steve McQueen (Hunger, Shame, 12 Years a Slave) is heading to HBO. Deadline has more. 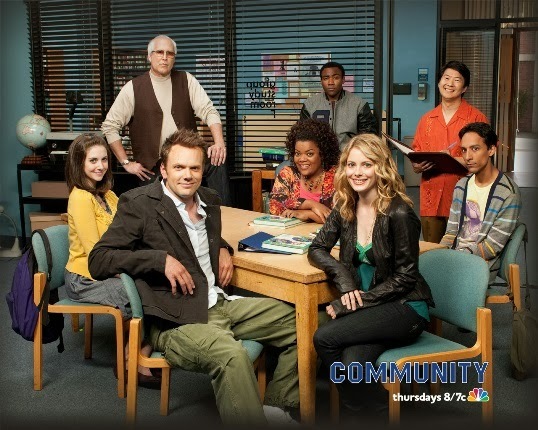 Community has lined up some impressive guest stars for its upcoming fifth season, which premieres January 2, 2014. 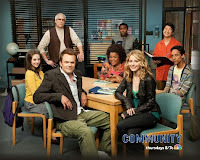 Among those attending Greendale this season will be Arrested Development creator Mitch Hurwitz, as well as Breaking Bad's Jonathan Banks and Short Term 12's Brie Larson, among others. Unfortunately, series regular, Donald Glover, who plays Troy, will be leaving the series after the fifth episode. The Wrap has more. PBS will air Marvin Hamlisch: What He Did For Love, a tribute to the late composer, on December 27 at 9pm. The documentary special will include candid interviews with a host of notables, including Barbra Streisand, Christopher Walken, Idina Menzel and Brian d'Arcy James. Broadwayworld.com has more. Check out the new trailer for The Wolf of Wall Street, starring Leonardo DiCaprio (Django Unchained, Inception) and directed by Martin Scorsese (Hugo). 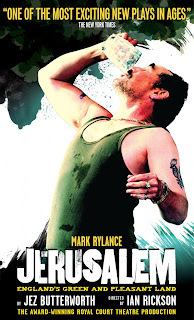 The film comes out Christmas Day. 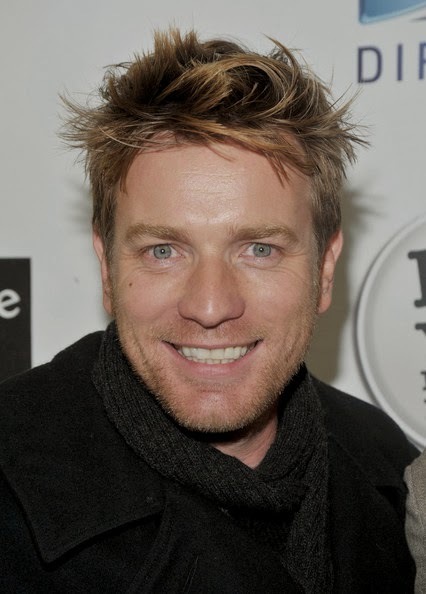 That's right, Trainspotting's Ewan McGregor will make his Broadway debut in Roundabout's revival of Tom Stoppard's The Real Thing, directed by the terrific Sam Gold (Uncle Vanya). McGregor (Beginners) is no stranger to the stage, having appeared in several U.K. productions, even garnering an Olivier Award nomination for his performance as Sky Masterson in Guys and Dolls. McGregor will soon be seen in the film adaptation of Tracy Letts's Pulitzer Prize- and Tony-winning play, August: Osage County, starring opposite Meryl Streep and Julia Roberts. The Real Thing was supposed to arrive this spring, but (likely due to McGregor's schedule) has now been pushed to fall 2014. (Roundabout has yet to announce the "replacement" show.) The play will run at Roundabout's American Airlines Theatre, and tickets will go on sale to the public over the summer (though you can guarantee your seat now by becoming a subscriber). Visit roundabouttheatre.org to learn more. Additional casting has been announced for Hedwig and the Angry Inch, the cult-favorite rock musical that's coming to Broadway with Neil Patrick Harris as its star. Harris (How I Met Your Mother, the host with the most) is taking on the title role of the transsexual glam/punk-rocker, and rounding out the back up band, The Angry Inch, are Justin Craig, Matt Duncan, Tim Mislock and Peter Yanowitz. The pivotal role of Hedwig's husband and back up singer has yet to be cast (or announced, at least). Written by John Cameron Mitchell and Stephen Trask, the musical had a famous run off-Broadway in 1998, and was later adapted for film in 2001. 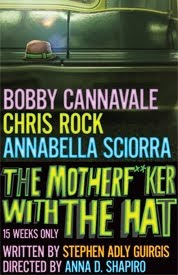 This production (being considered a revival, though it's never played Broadway) is directed by Michael Mayer (American Idiot, On a Clear Day...) and will run at the Belasco Theatre. Previews begin March 29, 2014, with opening night set for April 22. Broadway.com has more. Did you know that Broadway has a loyalty program? As I've mentioned before, with Audience Rewards you can earn point when you purchase tickets to shows through Audience Rewards' website. (Right now, you can earn points and redeem for exclusive gifts when you buy tickets to Wicked, celebrating its tenth anniversary.) And the good folks at Audience Rewards are always running different sweepstakes, like a just launched contest that in which you could win two tickets to Romeo and Juliet on Broadway. 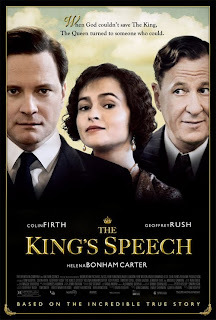 Visit audiencerewards.com for more details, and click on "featured offers" for special contests. Broadway.com checks in with the in-demand Will Swenson (Hair, Murder Ballad), who's about to open the new musical Little Miss Sunshine off-Broadway, and will return to Broadway in the spring in the latest revival of Les Miserables. It's here, the official poster for the new Muppets movie, Muppets: Most Wanted. The flick comes out March 21, 2014. Neil Patrick Harris will be honored by the Drama League on February 3, 2014, at the 30th Annual Musical Celebration of Broadway. 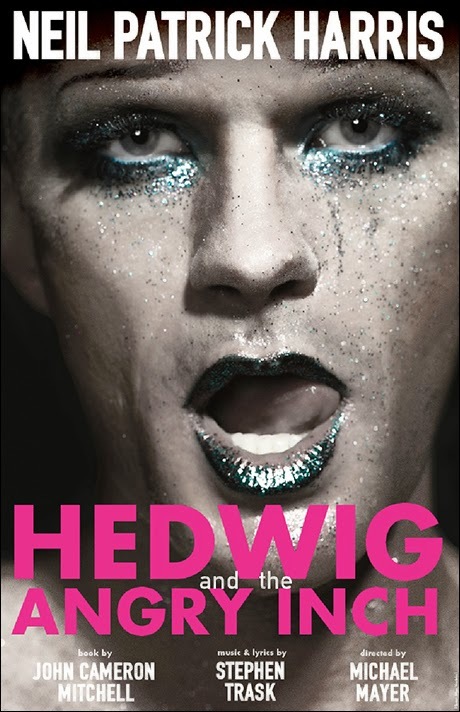 As mentioned above, Harris will return to Broadway in the spring in Hedwig and the Angry Inch. Playbill has details. 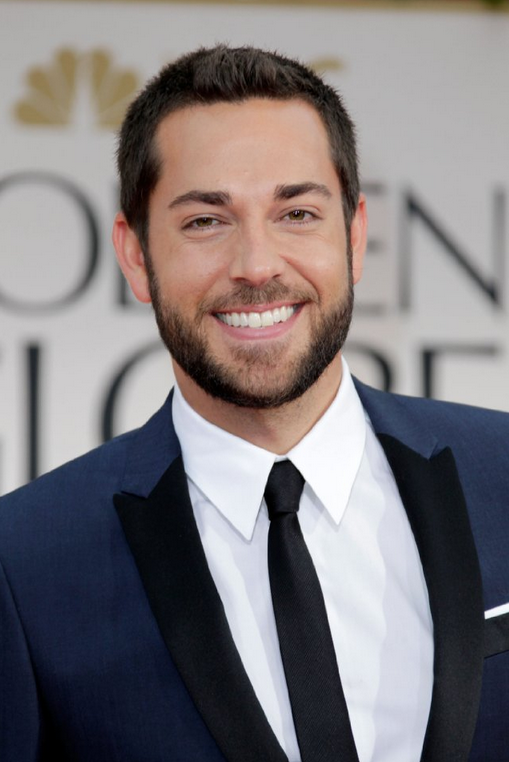 You'll see First Date on a Thanksgiving Day parade, according to Zachary Levi's recent tweet. The Piano Man—that would be Billy Joel—will play a New Year's Eve show at Brooklyn's Barclays Center. Ben Folds Five (which, of course, features another man at the piano) will open. Tickets go on sale November 9. Rolling Stone has more.